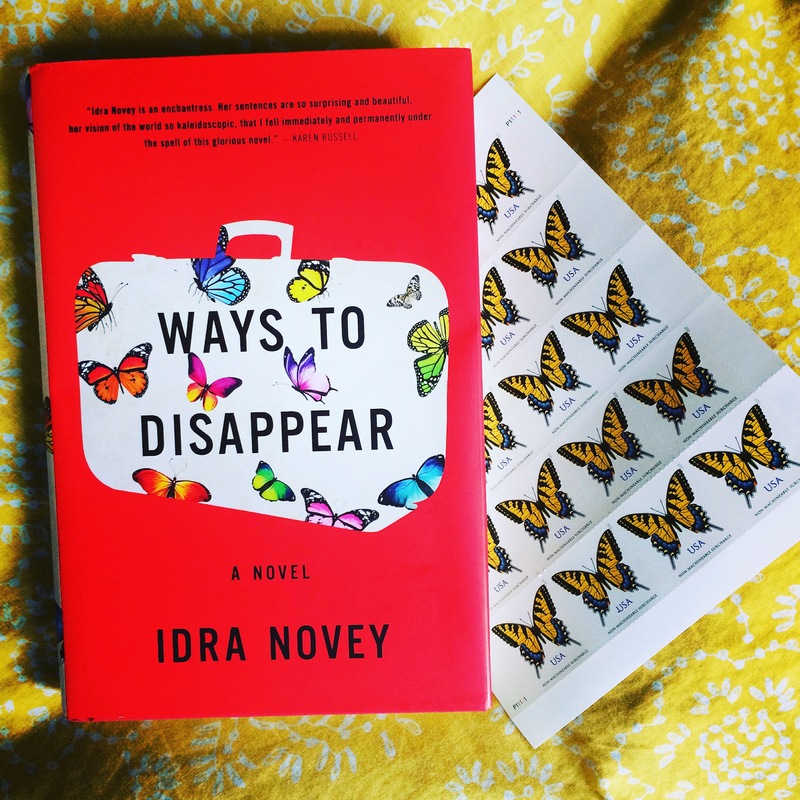 Idra Novey’s debut novel, Ways to Disappear*, defies easy categorization. It’s part mystery, part literary meditation, part romance, part comedy—and all brilliant. I loved it. Beatriz Yagoda, acclaimed Brazilian novelist with a fondness for cigars and online gambling, one day climbs an almond tree (cigar and suitcase in hand) and vanishes, leaving no word of her intentions with her two children, Raquel and Marcus, or with her American translator, a young woman named Emma. After learning of the disappearance, Emma leaves Pittsburgh (and her fiancè, Miles) for Brazil, where an encounter with a violent loan shark is just the first sign that she’s in way over her head. Her presence isn’t exactly welcome by her author’s children, and she’s searching for Beatriz based clues from her books. Meanwhile, Beatriz may be leaving cryptic breadcrumbs for her wealthy and world-weary first publisher, Rocha, who begins a parallel search for the enigmatic writer. It’s a wonderful setup for a novel, and Ms. Novey’s writing is top-notch. The heat of Brazil’s cities radiates from the page, her descriptions expertly woven from choice details (“a tall glass shipwrecked on the bar in a spill of caipirinha”). The glimpses of Beatriz’s own writing (mediated through Emma’s translations) are astoundingly unexpected and savagely beautiful, perhaps informed by Ms. Novey’s own work as a translator and poet. Brief chapters—the longest is four pages, I believe—are interspersed with modified dictionary entries, e-mail messages, and Brazilian news reports, giving this short book rapid-fire energy. What a metaphor. I highly recommend Ways to Disappear—you’ll want to ferried on this strange boat yourself. You make this sound invigorating. A good slump-buster! Exactly! That’s just what it is, especially since it’s so short. This one sounds really interesting. I’ll put it on my list! How does it compare to Where’d You Go Bernadette? Sounds like a similar premise and style. Is the author Brazilian? I read what (I think is) my first Brazilian author last year, Chico Buarque (Spilt Milk) and really loved it, and I have my first Clarice Lispector coming up soon. Clarice Lispector is amazing! I read Hour of the Star and loved it. I have several other of her novels I hope to get to this year. I hadn’t thought of that comparison! Definitely darker and more literary, but still in the Wes Anderson-esque universe of odd happenings. The author is not from Brazil but has lived there and has translated Brazilian authors, including Lispector (who I want to read–can’t wait to hear what you think!). Nope, but she’s translated Brazilian authors. And I love the cover—it makes even more sense in the context of the story. I love a book that isn’t easy to categorise. This sounds fantastic! It is! I hope, if you read it, that you’ll like it as much as I did!